In the fall, I had the honor of receiving an invitation to write an artist's profile for Brygg Magasin's debut all-English issue. 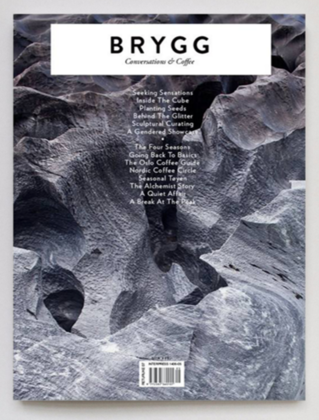 Brygg is a big, beautiful magazine covering Scandinavian culture, with an emphasis on coffee. (Brygg is Norwegian for brew.) 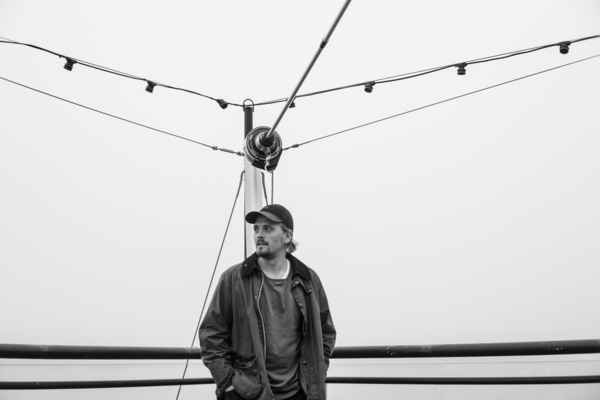 I opted to interview Kenneth Karlstad , a young, award-winning Norwegian filmmaker. We met at a cafė downtown and talked for a couple of hours, and I drank my first coffee. Ever. Because I wanted to stay true to Brygg 's mission... and because I'm a 32-year-old mom of an infant, so, though she is a "good sleeper," I still desperately need caffeine. Kenneth was a great interview subject. Easy to talk to. Candid. Funny. And we were both pleased with how the piece came out. For this creative native son of Sarpsbog, the injustice of these regional stereotypes weighs heavily. He sits forward on the couch now, shoulders squared to me, hands clasped in front of him, a position of strength and confidence and resolve. Life begs for examination, even--perhaps especially--in the most dismissed places. "I just want to tell stories about Sarpsborg that are serious, because it's a part of Norway that's not taken seriously." The subject matter of Gutten er Sulten is potentially painful for many people, including those whose lives actually inspired the script. I can tell by the set of Karlstad's jaw that there are corners of his life, his family, his work, he would like to remain secretive about, but steering clear of what is personal would go against his principles as an artist. "You just have to stand in it and try not to worry about how your art makes other people feel." Of course, this rhetoric is tested rigorously when an artist's chosen medium is film. Putting your memories and commentary up on a screen, people see it as a mirror. The only way to move forward is without personal judgment. Folks in Oslo can find Brygg for sale in coffee shops and other retailers around town (as well as a couple of places in Stockholm and Copenhagen). Unfortunately (or happily! ), the first English issue is sold out online. But as of today, my full article, "Seeking Sensations," is available to read on Brygg 's website. I hope to write again for them in the future, and I look forward to seeing Kenneth's long-form project, "Gutten er Sulten," later this year. Happy reading!